Volvo’s new FH series was the centre of attention at this year’s IAA International Motor Show in Hannover, and Matt Wood was there for the launch spectacular. After a glittering multimedia campaign featuring daredevil tightrope walking ballerinas and long boarding mechanics, the new Volvo FH is finally here ... Well not here exactly, but there, in Europe. Even though the steering wheel may have been on the wrong side of the cab, I was lucky enough to be present at the Hannover IAA International Motor Show to see Volvo's new flagship unveiled for the global transport media contingent. At first glance, I must confess that I didn't see a huge departure from the formula of the previous 19-year-old FH platform. But on closer inspection, the reborn heavy-duty prime mover is a completely different beast to its predecessor, from the ground up, and some very interesting developments have taken place underneath the sharp shiny new skin of the FH. When I spoke to Volvo Trucks President Claes Nilsson at the launch, he was understandably enthusiastic about the first new FH for nearly 20 years. Volvo's top man declared the new truck not just a new concept but a complete transport solution - a solution that underlines the company's intent to remain a premium brand and stay ahead of the game. Nilsson states that the new truck has been designed with the driver in mind. From safety and comfort to handling, Volvo's design brief was based on key points consistently raised by customers around the globe, and as Nilsson says: "A happy driver means a happy owner". Clearly, Volvo have taken a bold marketing approach with the introduction of the new truck backed by a multi-faceted social media campaign, but Nilsson is clear in saying that though the truck makers brand image may be seen as getting a makeover, the core Volvo credentials of environmental responsibility and safety as well as economy remain at the heart of the Volvo approach. But what is actually new with the big Swede? 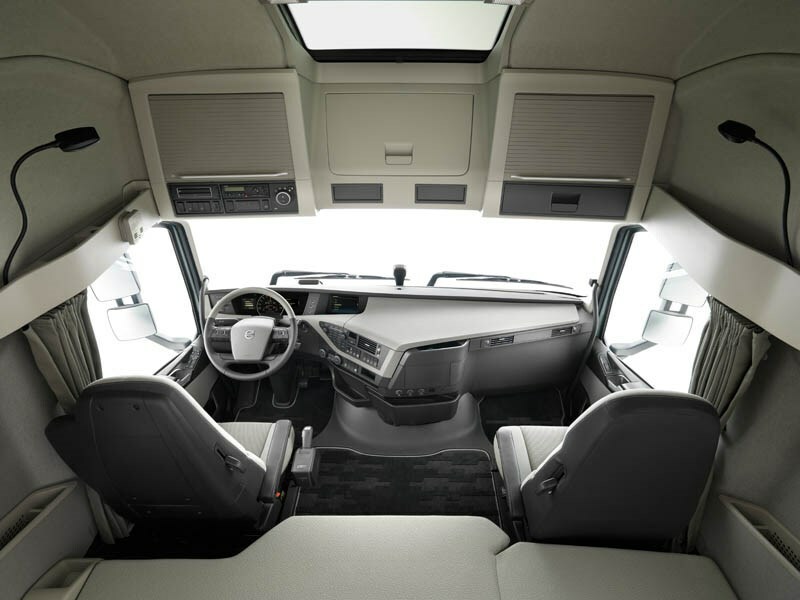 For a start, the cab has an extra cubic-metre of interior room, giving it more head room above the driver and putting it back in the ball park with some of its roomier European competitors, along with this there has been an overall increase in cab storage of 300 litres. Most of this has been gained by turning the A-pillars of the cab, giving them a thinner profile and moving them to a near-vertical position. The windscreen has now been bonded into place to become a structural part of the cab, while a sunroof doubles as an escape hatch in case of a rollover. There's even a little red hammer strapped to the side of the driver's seat for smashing the sunroof glass, using the same concept found in buses, and here I was thinking that Volvo had kindly supplied a road rage conflict resolution instrument. Another gain made by turning the A-pillars is an increase in visibility and this is complemented by a completely new mirror cluster. The mirror housings themselves have been pared back to a bare minimum while retaining enough shrouding to keep the mirrors themselves free of spray and road grime. 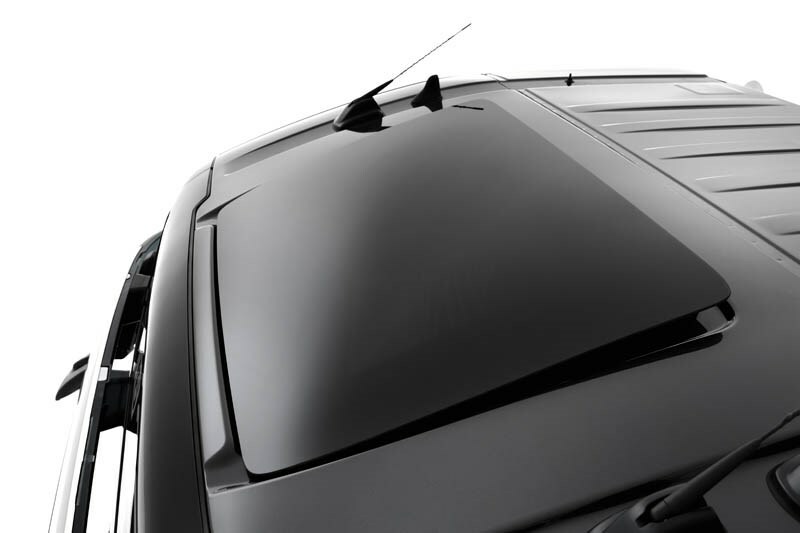 The result is a mirror cluster that takes up very little space in the side windows − another visibility gain. 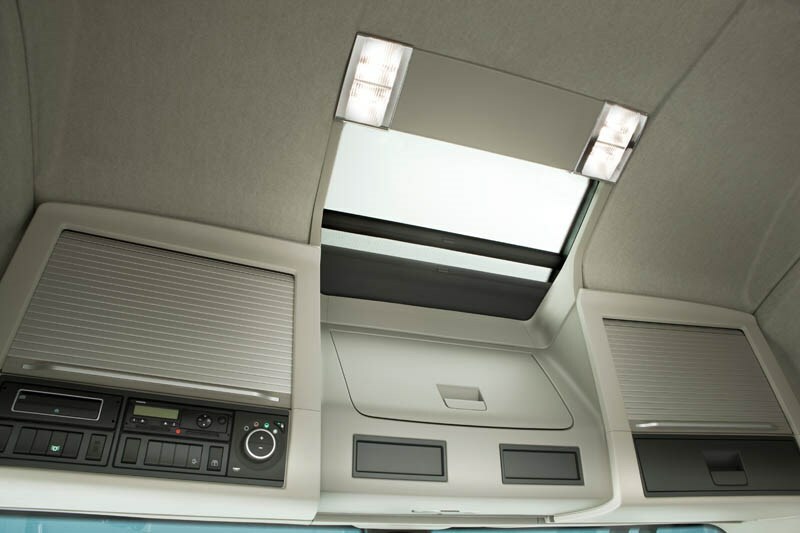 At first I couldn't help but wonder, from an Aussie perspective, where an operator would have aftermarket cab cooling installed, because, historically, the flash looking new sunroof/escape hatch would be the ideal place to whack an evaporative cooler. It's because of this very issue that Volvo have come up with P-Climate. 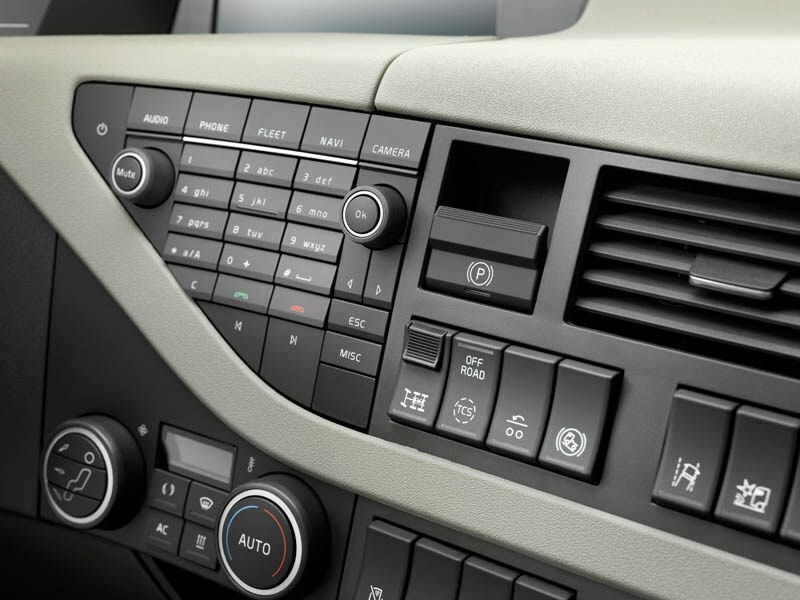 As the name may suggest, this is fully integrated climate control for when the vehicle is parked, without the engine running. The system uses a 110-volt compressor which powers the vehicle's heating and air-conditioning systems via the truck's on-board battery management system. This maintains the desired cab temperature while the driver is sleeping. If the battery storage level drops below 50 percent, the system cuts out so as to not flatten the batteries. Another big plus of this system is that it only puts out 30dB of noise, which would actually be less noise than passing traffic. I suspect in the future there will be more than a couple of drivers who'll wake in panic after sleeping late with this cushy set-up keeping things comfortable, no more waking in a lather of sweat because the cooler has run out of water, and no more waking up with pneumonia because a cool change has come through while you've been sleeping and now your kidneys are blocks of ice and your lips are blue. While sitting inside the cab of the new FH, I got to chat to Rikard Orell, Design Director for Volvo trucks and in charge of the design team responsible for the new truck. He seems almost as proud as a new father as he points out key design features, starting with how the front of the cab has been beefed up to give the whole truck a more macho stance without losing anything in terms of aerodynamics and fuel efficiency. I can't help but agree the new look gives the truck much needed presence. But it was the interior styling that caught my eye, or as Orell explained the flowing lines and forms. 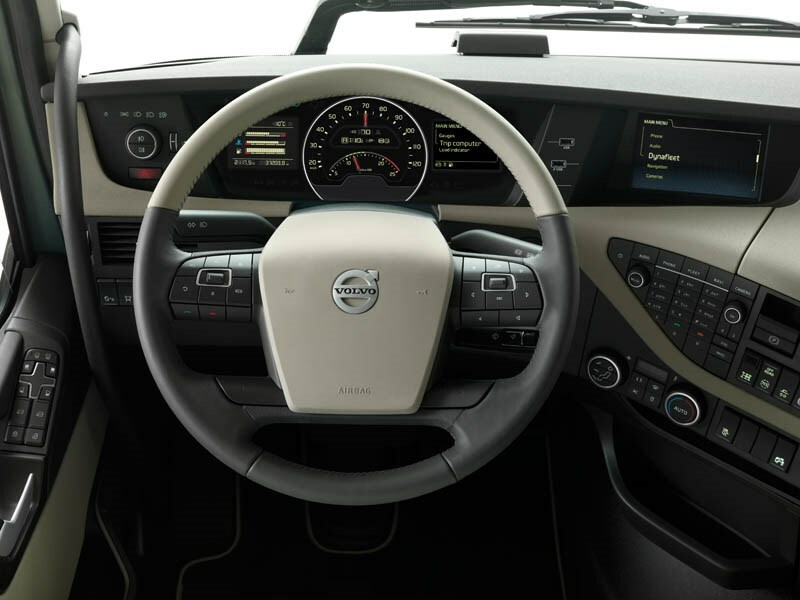 The two-tone dashboard cleverly draws the eye to the points of importance on the dash as well the side mirrors. Call it some sort of Feng Shui-Voodoo if you like but it works. Your eye doesn't rove around looking for gauges and menus, they just happen to be right where your eye naturally falls and the tacho set inside the speedo is a neat concept. 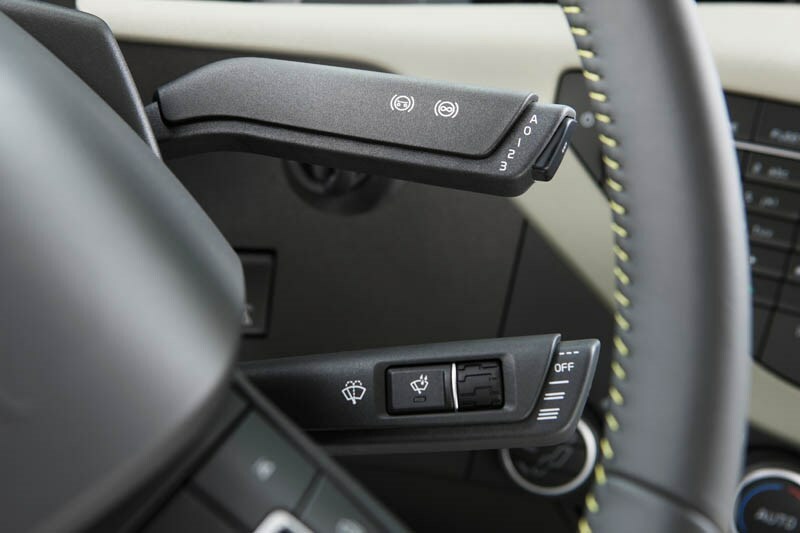 Most importantly functions can be taken care of without the driver's hand leaving the wheel; all other block-type buttons are laid out in easy reach. The air suspension level adjustment module used on the current FH has also been revamped. It is now a programmable cordless control unit that can be used to control exterior lighting, power take-off (PTO) engagement, hydraulic functions as well as suspension height. If you forget to dock the unit back into its dash-mounted cradle, it will beep at you, same goes if you try and drive off and leave it behind. As you'd expect, Volvo have put a lot into cab safety and at the IAA show I was able to check out an example of the new FH that the Traffic and Product Safety Department had smashed into a wall. What was immediately apparent was how the windscreen starred, smashed and buckled but remained intact, sort of like a glass crumple zone. Inside, the team had loaded all the storage lockers small cement blocks, and the lockers themselves had remained intact. The man in charge of this department, Carl Johan Almqvist, strikes me as a delightfully evil individual with a wicked glint in his eye, a glint I suspect that comes from being able to smash up and wreck very expensive things for a living. That said, driver safety is one thing he takes very seriously, as was evident when we discussed the issue of seat belts and drivers not using them. "We aim to make our trucks as safe as they can be, all they have to do is wear a seat belt for the safety systems work to their fullest potential," Almqvist says with an exasperated gesture. He also points out the roof-mounted escape hatch, which meets bus safety regulations although he doesn't share my enthusiasm for using the seat-mounted safety hammer for other purposes. 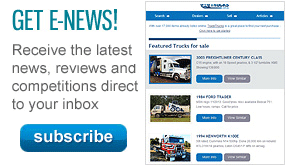 We also discuss visibility, and the new truck has a 17 percent gain in window area over the current model. Before I move on, he points to an object on a bench beside the smashed prime mover. I couldn't help but chuckle, they'd even crash tested the overhead shelf-mounted coffee maker − only Volvo. 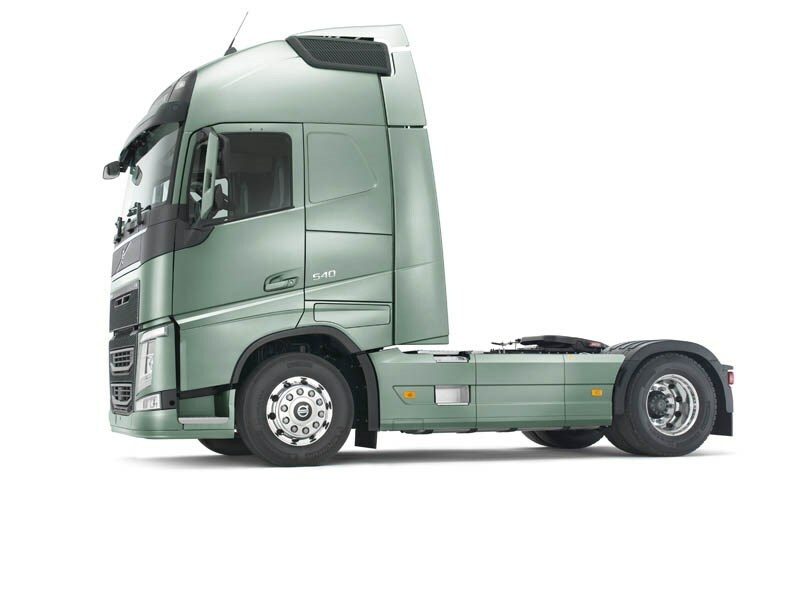 Chassis-wise the FH has also been redesigned with a brief to create a better handling and riding truck. To reduce flex, reaction rods have been installed to direct chassis torque towards the turntable where king pin load weight will be centred. Cab suspension mounts have been moved further out to iron out some the rock and roll that Volvo has been notorious for previously. But for me, the most interesting development is the option of air suspended individual front suspension (IFS) with rack and pinion steering. Unfortunately, Volvo won't be offering IFS in right-hand drive markets for the foreseeable future but that didn't stop me considering the possibilities that this set-up offers. While it remains unproven technology here in Australia, the potential ride improvement, as well as gains in front end stability on rough road surfaces offered by dropping the traditional beam axle front end, could be enormous. 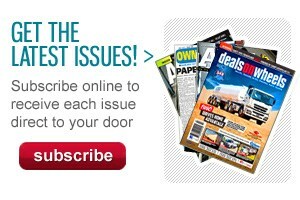 But regardless of how much I pouted, Volvo remain tight-lipped about the potential future of IFS in Australia. I should also mention that topping all this off is a new tilt-neck steering wheel to give the driver yet another thing to remember; where exactly was the best position for the steering wheel again? You'll drive yourself nuts with option overload, between the seat and the steering column this level of adjustment would probably benefit from electronic position memory, but then again maybe not everyone's as forgetful as me. The heart of the new Euro 6-compliant FH13 is the new D13K460 13-litre engine with both selective catalytic reduction (SCR) and exhaust gas recirculation (EGR). Volvo says it has drawn heavily on its EGR experience in the United States market to create an EGR solution that doesn't compromise engine durability and fuel economy. At present, the engine is only offered at 460hp (338kW) although peak torque has been increased slightly. A compound turbo helps create more efficiency for the EGR by creating back pressure to help the process along. The system uses active regeneration to burn particulate matter from the diesel particulate filter (DPF) and uses a seventh diesel injector to aid in the regeneration process. The 2,800Nm of peak torque is available down low in a flat line between 900 and 1,200rpm, and behind the new engine is the 12-speed I-Shift 2 automated manual transmission (AMT) which uses a dual clutch and twin input shaft system to help keep a consistent spread of torque through gear changes, making the most of the engine's torque range and minimising lag during gear shifts. Volvo claims this system will give performance similar to a constant variable speed transmission (CVT). Volvo is calling the new Euro 6 driveline in its entirety 'I-torque'. The Euro 6-compliant 16-litre hasn't emerged yet but, in its current form, satisfies Euro 5 Enhanced Environmental Vehicle (EEV) criteria, and is still available with up to 750hp (552kW) in Europe. In fact, on display at the Hannover IAA was a heavy haulage spec FH16 that showcased the new cab design beautifully. 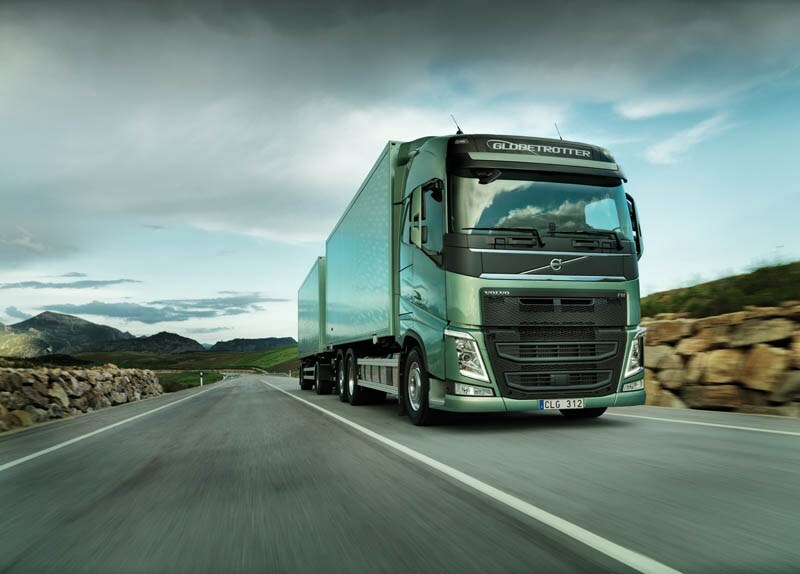 Volvo claims to have come very close to matching Euro 5 fuel economy with their new Euro 6 engine, although it seems the more complex these engines are becoming, transmission and final drive gearing are now becoming more and more a critical part in recovering fuel economy. As Volvo Trucks Senior Vice President Ricard Fritz stated, when I spoke to him at the IAA show, this new FH platform has been engineered to accommodate all future possibilities in terms of emissions regulations, alternate propulsion, e.g. hybrid drive and alternate fuels. The last incarnation of the FH lasted nearly 20 years and he expects this one is expected to last a similar amount of time. 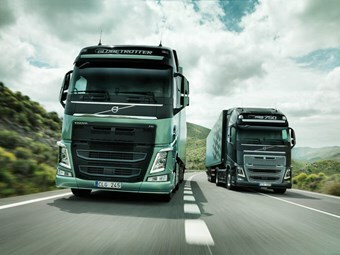 The new truck is expected to be hitting European roads in 2013 but the big question is, of course, when are we going to see the new Volvo flagship Down Under? Again, senior management remain tight-lipped but the new FH should arrive within two years, though some markets such as Brazil are likely to be later in that timeframe due to laws governing local component content. On face value the new FH is a striking evolution of the heavy-duty model and while still clearly retaining the Volvo ethos inside and out. While Euro 6 (ADR 80/04) engines may still be a spec on the horizon for Australia, it's a safe bet that the new FH will be well and truly here in Euro 5 guise before then. Having been given a glimpse of the FH's future, I'd suggest that the new big banger will find a very interested audience Down Under when it does roll up.